Cake smash sessions are always so bittersweet because it's the end of their first year! 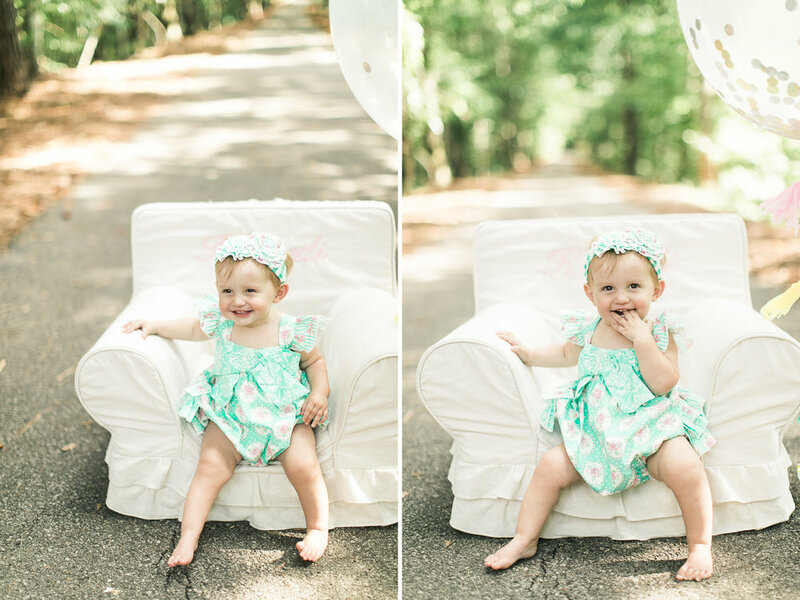 I met this little babe before she was even born and I've had the privilege of capturing all her milestones! Kennedi has been such a sweet, spunky, happy baby and I'm so happy they chose me this year! I'm sad this first year is over, but I know I will see them again soon (actually in a few months for fall minis!). Happy ONE to sweet Kennedi!